Satyricon and Enslaved have been milestone builders for the Viking-inspired theme of the Norwegian Black Metal saga. But there’s an hidden gem, born out of the Norwegian womb, that the acolytes of this unique 90s Black Metal atmosphere recognize as a classic: this is Perished’s “Kark”. 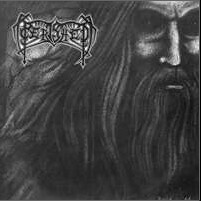 Formed on 1991, Perished forged 2 solid demos, “In Hoc Signo Vinces” (1993) and “Through the Black Mist” (1994); the “Perished” EP released in 1996 soon became an iconic collector item and granted them a deal for the release of their debut album on Solistitium Records, the same label of bands like Behemoth, Horna, Helheim, Isvind, Nocternity, Tsjuder & Wyrd. 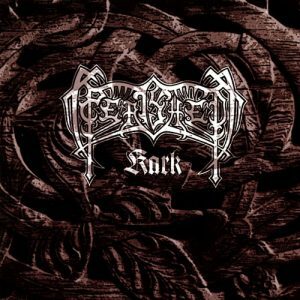 “Kark” was published the first time in 1998 on both Cd & Limited LP edition: an admirable example of darkly epic Norwegian Black Metal, where overwhelming riffs were taking the folk inspiration to the evocative goal. Scheduled for a June 26th release and strictly limited to 500 copies, the deluxe Digipak CD edition of “Kark” will include a retrospective of the album concept and musical inspiration made by the band as well as 3 bonus tracks: the previously unreleased song “A Landscape of Flames”, and the 2 tracks from the “Perished” 7” EP, “Kald Som Aldri Før” and “Gjennom Skjærende Lys”. The LP Edition, out in October, will come with an insert including the same band retrospective, but apart from that it will be faithful to the original LP edition. First 200 copies will come together with a bonus 7″ containing the eponymous cult EP.